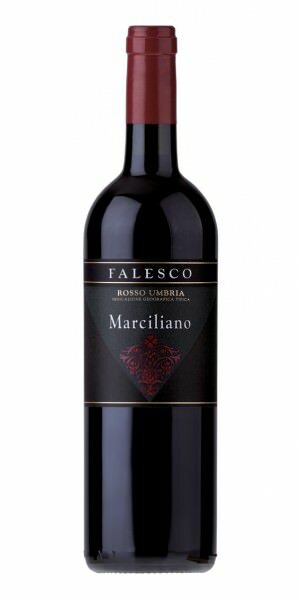 Produktinformationen "Falesco Marciliano 2007 Italien Umbrien Rotwein"
Der Marciliano 2007 zeigt sich in einer tief, undurchsichtiges purpurroten Farbe. Dieses köstliche Rot bietet klassische Aromen von Cassis, Kräutern, Tabak, Zedernholz und Schiefer, die sich weiterhin am Gaumen entfalten. Strukturell schlägt der Wein eine perfekte Balance zwischen dem festen, feinen Tannin und dem eleganten, samtigen Mundgefühl. Langlebig und vollmundig. This is intense and powerful, with loads of fruit and incredible berry, coffee and toasted oak character. Full throttle yet balanced and fresh. Loads going on. Cabernet Sauvignon and Cabernet Franc. Vintner Riccardo Cotarella's fantastic Cabernet-based Marciliano (both Cabernets Sauvignon and Franc are present) opens with an intense bouquet of red fruit, blackberry, oak spice and chocolate. The ripeness level is spot-on; and the wine leaves a smooth, soft sensation in the mouth that’s followed by firm, age-worthy tannins. Dark in color, showing dried herbs and currant on the nose, with licorice and blackberry. Full-bodied, with chewy, polished tannins and a long, juicy finish. Pretty and well-crafted. Cabernet Sauvignon and Cabernet Franc. The 2007 Cabernet Marciliano is a beautifully expressive wine. Dark plums, cassis, herbs and exotic spices come together in this racy, opulent Marciliano. All of the elements are nicely balanced and lead to a long, refreshing finish. Anticipated maturity: 2012-2017. Weiterführende Links zu "Falesco Marciliano 2007 Italien Umbrien Rotwein"
Kundenbewertungen für "Falesco Marciliano 2007 Italien Umbrien Rotwein"